When an unarmed black man is killed, who has the right to tell his story? That's the question filmmaker Yance Ford wrestles with for much of Strong Island, a film ten years in the making. The film centers around Ford's older brother William. William was shot to death while confronting a man in an auto repair shop in 1992. Though William was unarmed at the time, his killer was never put to trial. Through interviews with his mother, sister, close friends and himself, Ford paints a deeply personal picture of his family, and the impact his brother had on them before and after his killing. Carter Woodiel spoke to Ford about the film. Woodiel: You start the film right at the beginning, with something I thought was very interesting, which I took as kind of, almost a thesis statement for the entire film, when you said "I'm not angry, I'm also not willing to accept that someone else gets to say who William was. How did you arrive at that thesis? Ford: As we've seen with the death of African-Americans over the last, I'll just say 10 years ... we almost always see the authorities, police or others, they become experts on who the dead person was, and what I wanted to do was to state very clearly that William was known to a circle of people, friends and family, that includes me, who knew him and get to be the authority on who he was. Woodiel: What made a film the best way to paint that picture, because this isn't the only way you could have gone to tell the definitive story of who your brother was. What made a film your mode of choice for this? Ford: As I became aware of how effective film could be in bringing people into the lives of characters, in becoming an intimate experience, I realized that a film, and that a documentary was really the only way to achieve the kind of intimacy that I felt was necessary to understand the story, as not just a personal one -- yes it's located within my family -- but as something that's happened to lots of families. Woodiel: I would like to ask just one more question about when you were being interviewed yourself and what that was like. Obviously it's not the traditional interview, the director is in front of the camera instead of behind; so how was that structured, and how difficult was it to reveal some really difficult personal truths on camera like that? Ford: I literally had to construct a wall ... If you can imagine a room that's divided in half by a wall of sound blankets and all of the crew including the person who's interviewing me is on one side of that blanket. And I, sitting in a bench, with the light where it's supposed to be, am on the other side of that blanket. That's what it took for me to answer these questions honestly; that's what it took for me to be vulnerable, to say things that I've never said before. And it was difficult. ... You know, it's not an easy film. Strong Island is not an easy film, but it was never meant to be an easy film. It was meant to be an honest film. And that means that there are moments when some people in the audience might feel uncomfortable, and other people in the audience might feel like they're having their experience -- their life experience -- affirmed for the first time. 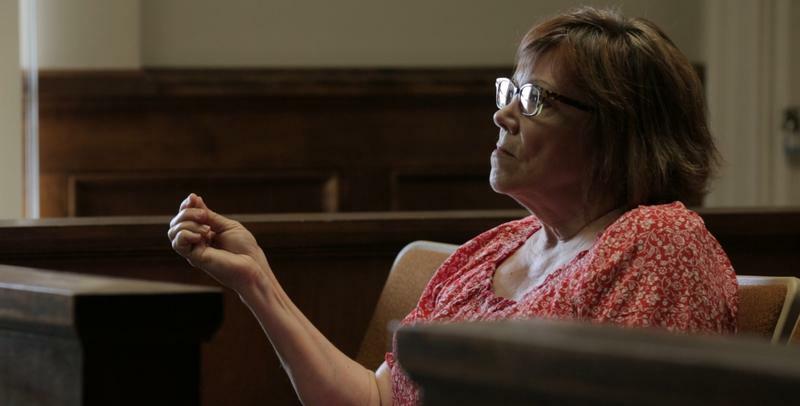 Lindy Lou, Juror Number 2 follows one woman as she struggles to come to terms with the decision she and her fellow jurors made twenty years ago sentencing Bobby Wilcher to death. When Wilcher was executed in 2006, Lindy had been his only visitor. Meteorites flying through the sky, bear cubs running down the highway, trucks exploding in flames just feet away from other drivers - all of these scenes have been caught on the dash cam footage of cars throughout Russia and the former Soviet Union. Drivers often post those videos to YouTube, creating viral videos that are viewed around the world.